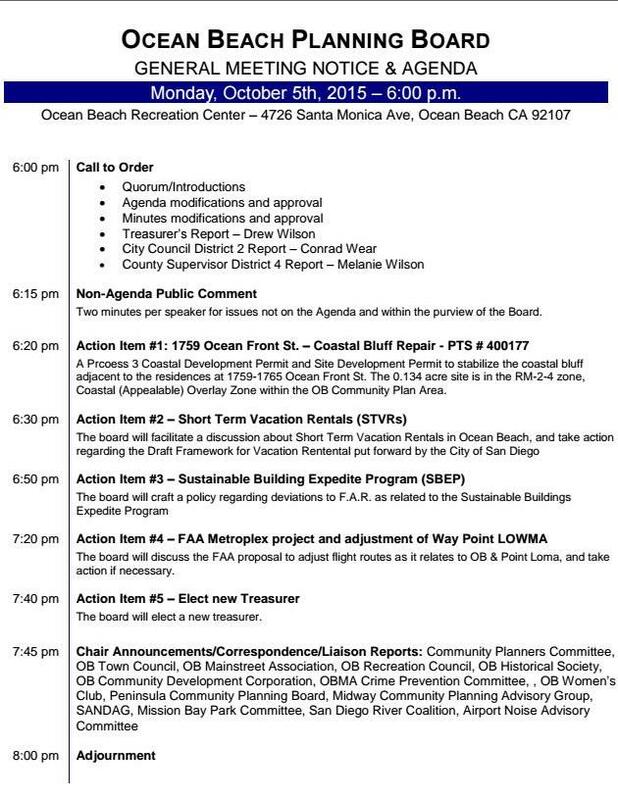 The OB Planning Board is meeting tonight, Monday, October 5th. They usually meet on the first Wed. of every month. But due to scheduling problems, the Board will meet in the Crafts room at the OB Rec Center, 4726 Santa Monica Ave., at 6pm. So, hey what happened? No report? NO nuttin’? Sorry, we didn’t cover the meeting. Did anyone?